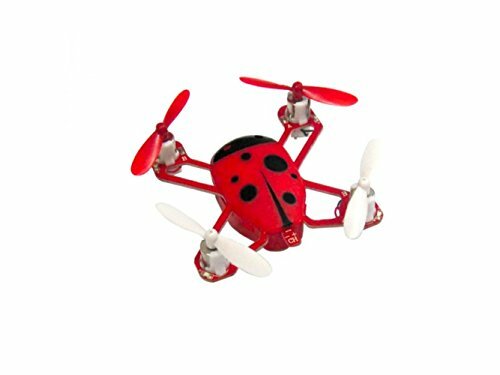 The Skylark M4-50 Mini Quadcopter with Gyro RTF Combo is The original patent product and agented by ALSRobotbase,it is called good fly artifact,which used Advanced flight control technology,it has the same feeling with multi-rotors unmanned plane. It is not only studying easily and fashion science and technology toy,but also is used as the operate platform for multi-rotors fans,support 3D flying,The rolling model,rolling all around,LED light，it will more stimulation to fly on night,the charge cable is the standard USB interface,can cannect with Charger Baby,Auto USB,computer USB and so on. The interface charger case adopt Buckle structure,down easily,can change case and airscrew quickly,the plane body is less than 5cm,include bettery,the weight just is 14 gram.